Nick Wooster (www.nickwooster.com), is one of my fashion gods. Somehow anything he wears from short suits to camo everything, just clicks. So here’s a look inspired by ‘The Woost’. 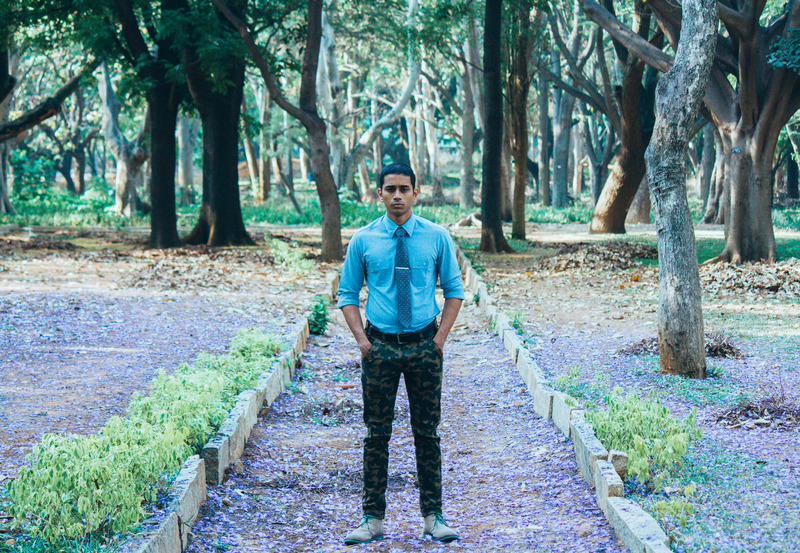 Menswear gurus say camo is like animal print for men. I wear animal prints too however, why let women have all the fun eh? 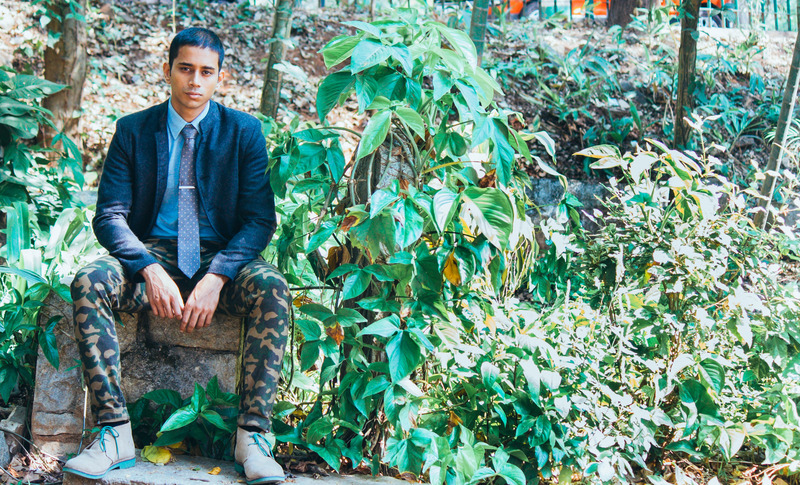 You can treat camo pants just like you would a pair of khaki/olive trousers. This helps when trying to figure out what to pair them with. Remember that there are many kinds of camo: Urban, Woodland, Oceanic, Digital etc. I went with a vintage Arrow shirt in a polyester blend for this look. 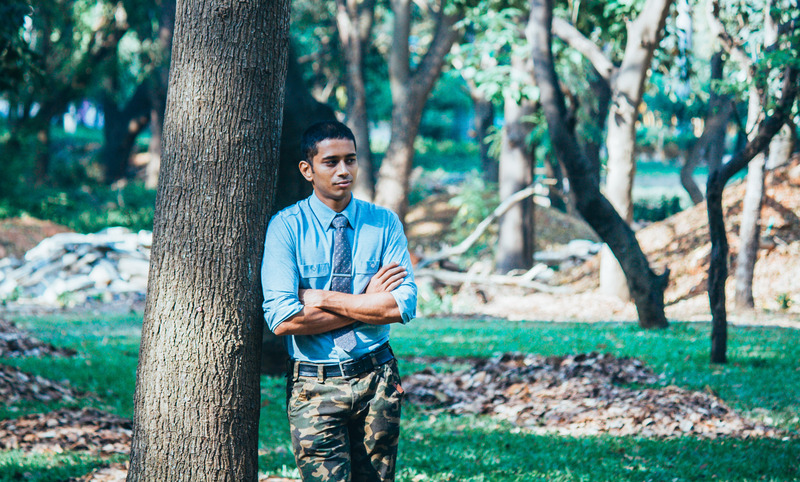 Some say that poly shirts do not work in summers but if you can find one with an open weave like this one, you will find that it is more breathable than a similar pure cotton shirt. To make things a bit more exciting, go with a fun, yet understated tie like this herringbone weave polka dot number you see here. 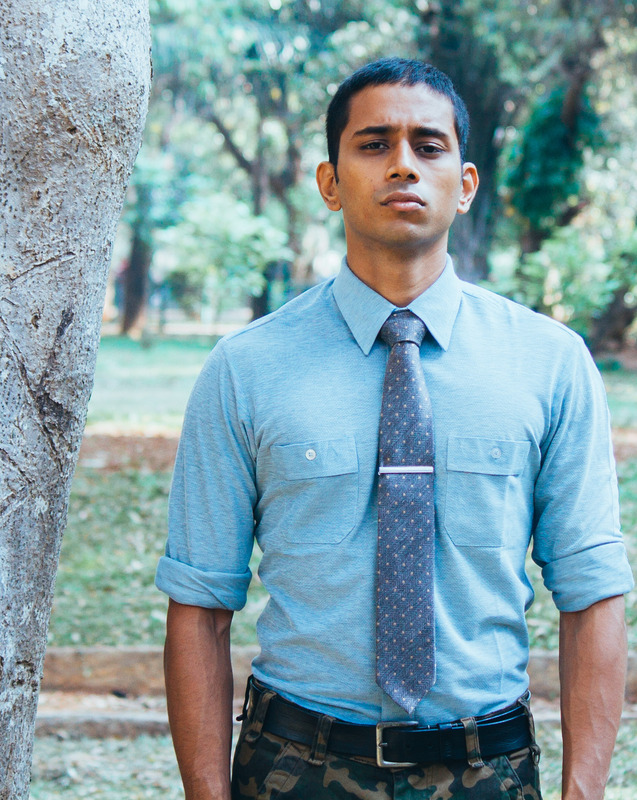 Finish things off with a slim tie bar to avoid flapping ties. 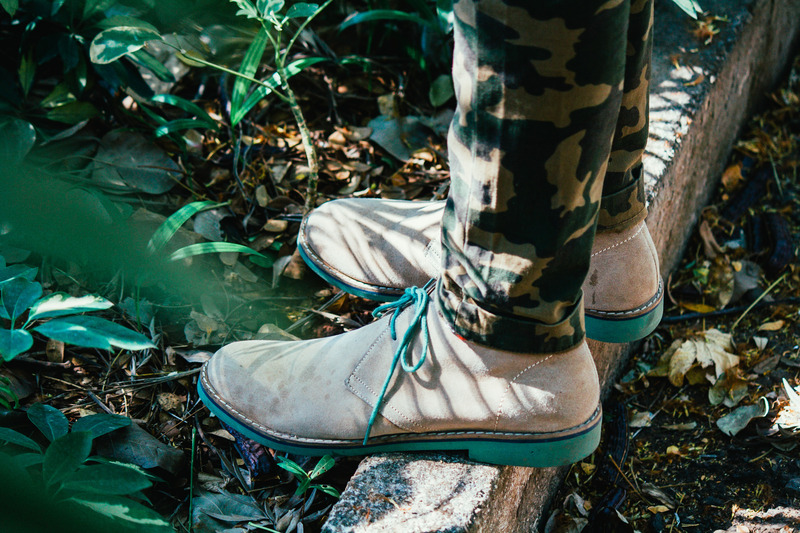 Tan suede boots are about as military as you can be without being uncomfortable and the green sole on these really makes the outfit pop, maybe a little too much. As far as outerwear goes for this outfit, a simple black blazer will do wonders. Like Nick says, ‘Business up top, Party down below.’ Words to live by for all you men out there looking to be dapper. Next postWhat’s up, Tiger Lily? Seriously digging this look! These pictures look so rad, who takes your pictures?